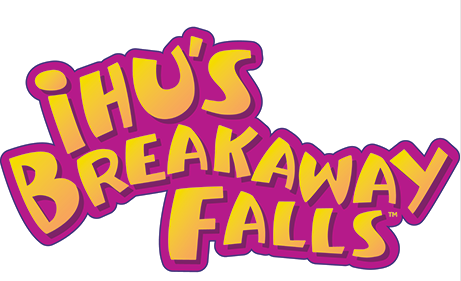 After weeks of teasing the public, Aquatica has finally released more information on the their water slide- Ihu's Breakaway Falls. From previous teasers and leaked plans, we knew this new attraction to be 105 feet tall but that was all they gave us for over a month. Finally we've got some more details on exactly what kind of attraction we're looking at. A Drop Slide. These are famous for loading you into a small compartment and randomly dropping you into a steep, plunging speed slide. Ihu's Breakaway Falls is going to be the tallest in Orlando as well as the only multi-drop slide in the area. From the promo-teasers the park has released, it appears to have a total of 3 platforms. At this time it's unknown if that's 3 slide per platform or if it's three total slides. 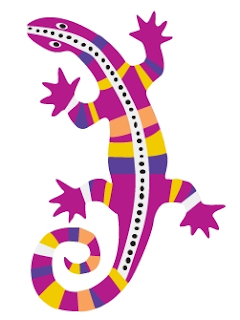 This slide is named after the parks colorful gecko mascot, who searched for thrills, hills and chills inside the water park. No formal opening date has been announced aside from "Coming in 2014". This will be the parks first new addition since 2010 when they added in 'Omaka Rocka'.